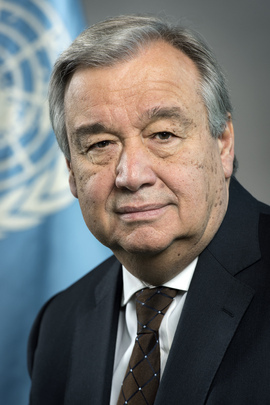 António Guterres (Portugal) currently serves as the ninth Secretary-General, 2017 - present. Portugal nominated Mr. Guterres by a letter of 29 February 2016 (A/70/768 - S/2016/206). The President of the 70th session of the General Assembly distributed the vision statement of Mr. Guterres (PDF). In addition, Mr. Guterres participated in informal dialogues with UN Member States that were webcast.